A delicious melodrama full of betrayal, secrets, and pain! I loved it. Soo-Ae looks beautiful when she cries. 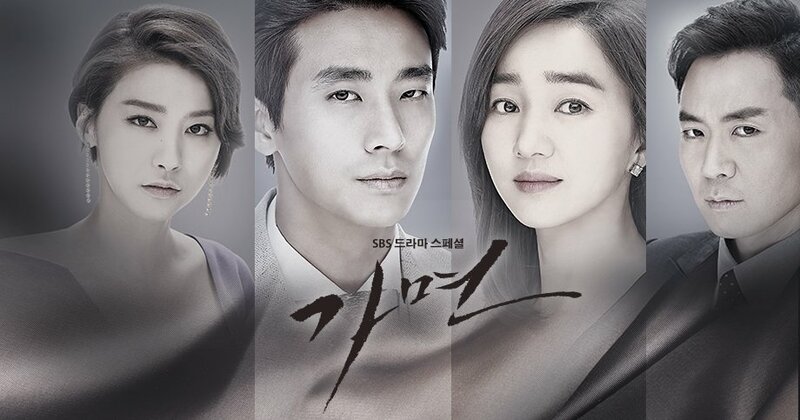 Ju Ji-Hoon is marvelous as the mentally unstable heir. And Yeon Jeong-Hun has NEVER LOOKED BETTER. Oh my gosh, no one plays devious quite like this guy… and no one has ever looked so hot when they’re being so evil. The story is relatively simple. There are two women who have the same face, doppelgangers. One is wealthy and the other lives in poverty and debt. When the wealthy woman drowns, a sinister man sees an opportunity and puts the poor woman in her place. The poor woman goes along with it because Mr. Sinister says he will settle her families debts. Suddenly the poor woman finds herself getting married to a stranger and caught in a web of lies. I loved it! This is pure melodrama. If you’re feeling rational, don’t watch it. If you’re one of those people who screams at the television “Why doesn’t she just tell him! ?” or “Why does she keep trusting him? !” then don’t watch it. These people are going to make the same mistakes several times before seeing the error of their ways. There are lies on top of lies on top of lies. People are out for blood. There is distrust and suspicion everywhere. No one has the common sense to plant an audio recorder somewhere or actually accumulate evidence of any kind. Oh no. These are fly-by-the-seat-of-your-pants, emotional decision making types. And it’s 20 long episodes of this… so if you’re not in the mood to soak in some moody, irrational stew, then do yourself a favor and steer clear. If, however, you are in the mood for deception and dark desire and, honestly, ridiculousness… then get comfortable on the couch and clear your calendar. There will be tears! There will gnashing of teeth! There will be anguish and blood and fear and chaos! There will be desperate kisses followed by mistrust and confusion! There will be backflashes to something that happened only ten minutes ago! The house is on fire and no one can see the exits through the smoke… we’re all going down in flames together. And it’s so much fun! Overall Rating – 9/10. Mr. Sinister Serves Up Some Moody, Broody Blackmail to a Doppelganger. Let’s start with the male heir of his family fortune. Mr. OCD. The first few episodes spent a lot of time establishing the various mental illnesses and personality disorders of Mr. OCD. Then about halfway through the show they forgot all about them… and they seemed to change. What is that? Does love cure OCD? Was it all the drugs? I thought this character was best when he was unhinged. I really didn’t mind that it seemed a vague, unspecified personality disorder but I wish they had kept up the pace with it. Remember when he was imagining the black pools covering everything? I would have liked to have seen that throughout the show. Does Mr. Sinister really love his wife? Sometimes it seemed as if he were just using her as a means to an end. Other times, I was completely convinced he’d fallen in love with her. In many respects, there could not have been a better couple. She was casually cruel, self involved, and ruthless just like he was. And they looked marvelous together. I loved their constant banter about believing each other’s lies… such dark amore! Yu In-Young nailed it in this show – she’s great at these complex characters. What exactly had our Poor Girl’s father done to accrue so much debt? They never really told us, or if they did I missed it. Why does everyone sleep with all the lights on? How does one get a henchman? I love these random anonymous henchmen that seem devoted to their masters… with no story of their own. They’re just around to stick syringes of poison into beers and run over people with their cars. And they wear glasses without lenses. They’re ever so mysterious… I totally want one. Does every Korean mansion include a bedroom suite? These personal bedrooms are freakin’ massive… they’re full blown apartments. They’re bigger than my apartment, truth be told. I guess it makes it easier to live with your parents. How did Mr. OCD and Poor Girl manage to stay out of each other’s pants for so long? I mean, geesh… these two have iron wills. Two seconds of first base was all this married couple could manage… for sixteen long, long episodes. Could there be a cooler bad guy? 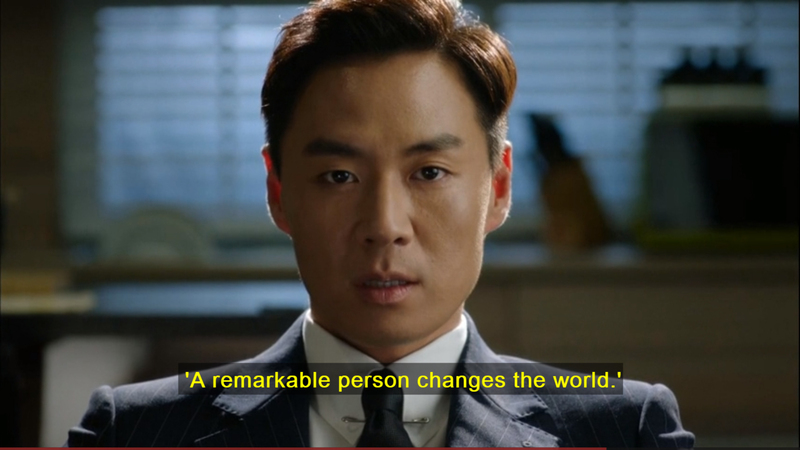 Mr. Sinister was hands-down one of my all time favorite baddies in the history of K-Dramas. The man was idealistic. He wanted to change the world. To alter the power structure. To free people from the evils of money. And to do so…. you got a crack a few eggs to make that Utopian omelet. I love a good melodrama. Melodrama’s are about people making dumb mistakes, keeping secrets too long, not trusting anyone, ambition and excessive crying. According to Merriam, a melodrama is “a dramatic form that does not observe the laws of cause and effect and that exaggerates emotion and emphasizes plot or action at the expense of characterization.” Mask is all these things. A good melodrama.